Per Peter Cincotta: "Four club competition: Juggles, Sparky, Gobo, and Lucky." 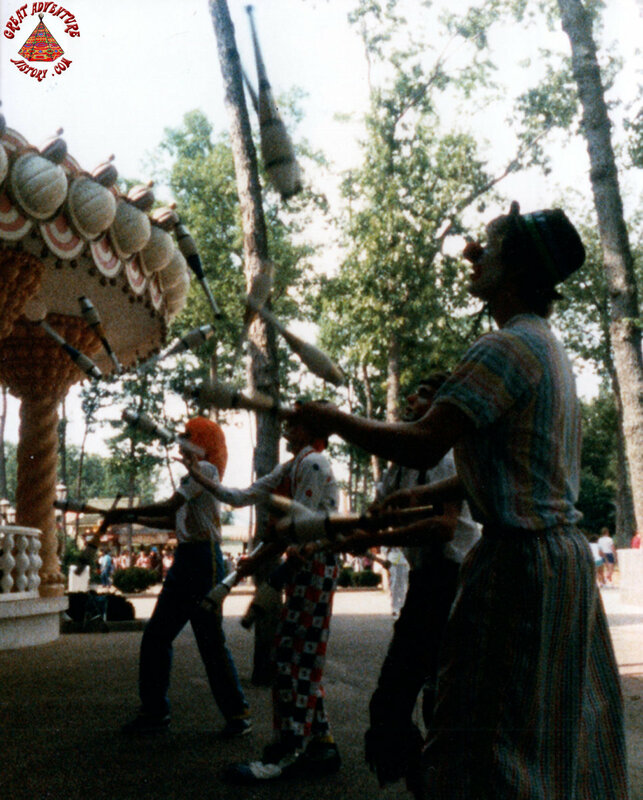 Cool shot of the four of us each juggling four clubs. A funny story about Lucky the clown was that he seemed to be very accident-prone. One time he was riding a 6-foot unicycle and he backed into a 5-foot tall iron gate. He fell over the gate onto grass and wasn't injured. He was willing to try anything.